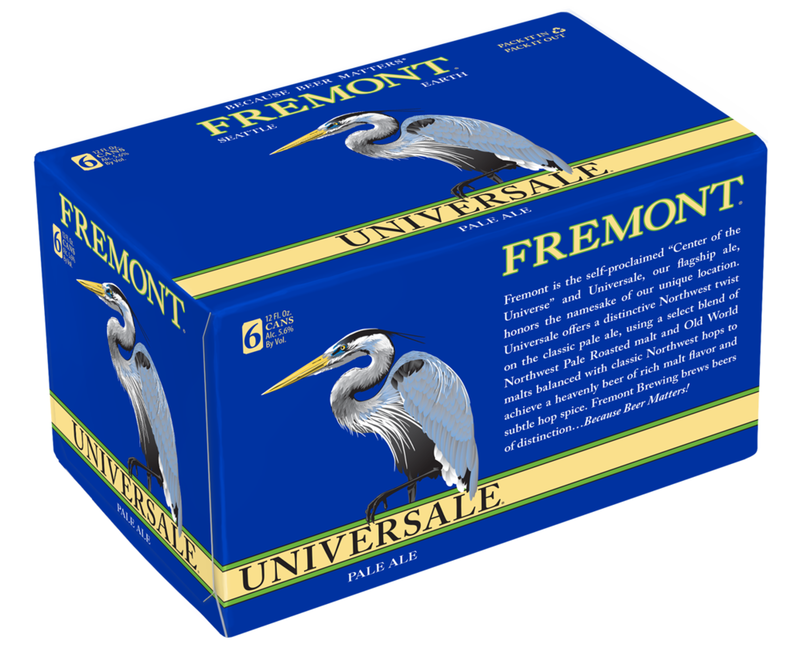 Fremont is the self-proclaimed “Center of the Universe”, and Universale honors the namesake of our unique location. Universale Pale Ale offers a distinctive Northwest twist on the classic pale ale, using a select blend of Northwest Pale Roasted malt and Old World malts balanced with classic Northwest hops to achieve a heavenly beer of rich malt flavor and subtle hop spice. Down & Dirty: 2-Row Pale and C-15 malts with Centennial and Simcoe® hops.